Vintage 1980s Christian Aujard by Parfums Christian Aujard 0.02 oz Eau de Parfum Splash Manufacturer's Sample Vial on Card. The vial is about 40% full - please see picture for actual fill line. 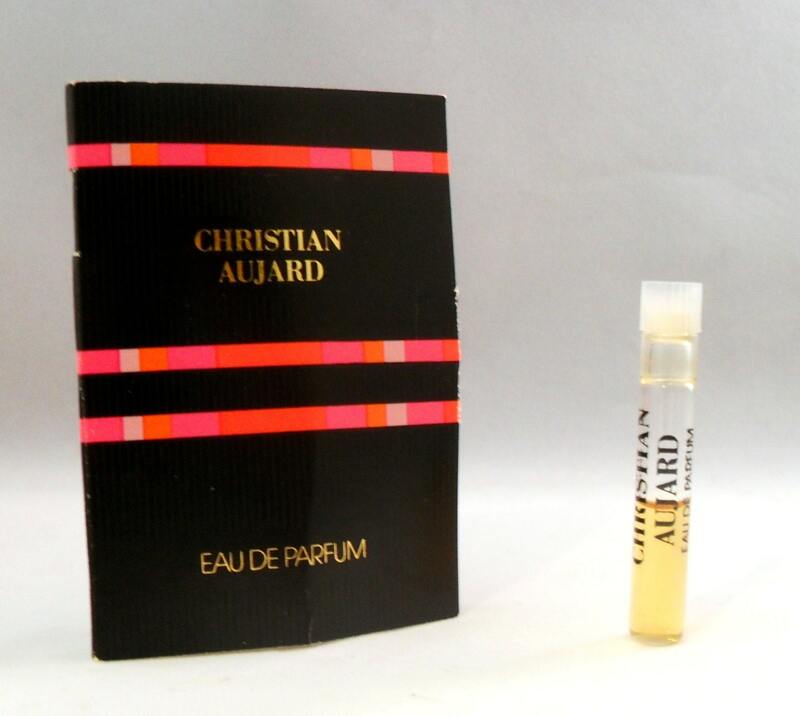 Christian Aujard by Parfums Christian Aujard was launched in 1985. Parfums Christian Aujard Ltd. was a wholly owned subsidiary of Dana Perfumes. It is classified as a floral/fruity/woody chypre fragrance for women. Warm with lily of the valley, jasmine and plum and deepened with woodsy oakmoss and vetiver. This fragrance has been discontinued for years and is hard to find.